Rictus grin is the other name of risus sardonicus. In this condition, facial muscles constrict in an abnormal way and remain sustained in that texture. Basically it is a muscle spasm occurs near eye and produces grinning. This condition is named so because of its appearance. The eyebrows appear abnormally lifted and an open grin. This grin appears sardonic to a common man. This condition occurs in people suffering from muscle spasm. Risus sardonicus has its roots in mediterranean island present in sardinia. It is commonly known as a main sign of tetanus. Not only tetanus is its root cause but it can also occur as a result of strychnine poisoning and sometimes due to wilson’s disease. In university of eastern piedmont some workers discovered a plant which is responsible for causing sardonic grin. People with risus sardonicus appear abnormal because of their facial appearance. Contraction of muscles normally occur around eyes leading to small grin eyes and elevated eyebrows. These are the symptoms of risus sardonicus. Most of its symptoms resemble symptoms of tetanus. Risus sardonicus is also described in various drama serials and movies like sherlock holmes as hero of a famous novel describe risus sardonicus to explain facial features of victim. Risus sardonicus is considered a main sign of disease named tetanus. As in tetanus, clostridium tetani enters in flesh via wound and start growing. This pathogen leads to release of tetanospasmin and causes stiffness in muscles and muscle spasms. 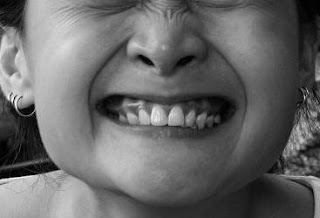 If this spasm occurs in facial muscles then it is known as risus sardonicus. It can also occur as a result of strychnine poisoning and Wilson’s disease. Some workers in university of Eastern Piedmont discovered a plant named Oenanthe crocata which is also responsible for sardonic grin appearance. This sardonic herb was used anciently for ritual killing. Risus sardonicus is a sign of tetanus in which muscles of face constrict and show spasm around eyes. So due to muscle constriction, eyes appear small in size. Eyebrows get abnormally lifted and grin appearance. People with risus sardonicus look abnormal and sometimes horrible. Muscle spasm may also occur on jawline and neck muscles. If muscle constriction occurs near jaw line, then this condition is defined as trismus. Due to muscle constriction, nerves supplying blood to that area may also got disturbed and change in blood pressure occur. Spasm may hurt sometimes. There is no specific treatment for risus sardonicus but it can be managed with care and medication therapy. As tetanus is counted as a root cause of risus sardonicus, so its treatment involves anti toxins to regulate the toxin named tetanospasmin. Because this toxin is responsible for risus sardonicus. Some antibiotics are also prescribed.